Enter to win Shelby's Snack Shack Game for Preschoolers! 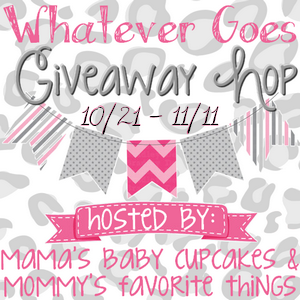 Welcome to the "Whatever Goes" Giveaway Hop here at Why We Love Green. This event is hosted by Mommy's Favorite Things and Mama's Baby Cupcakes. To learn more about this amazing counting and numbers game and to enter using the Rafflecopter form below, click on "Read More." Shelby, a rescued pug with her own Facebook page, has inspired a counting and numbers games from Educational Insights! Shelby buried her bones on the beach and needs help collecting them--but watch out for sneaky seagulls! 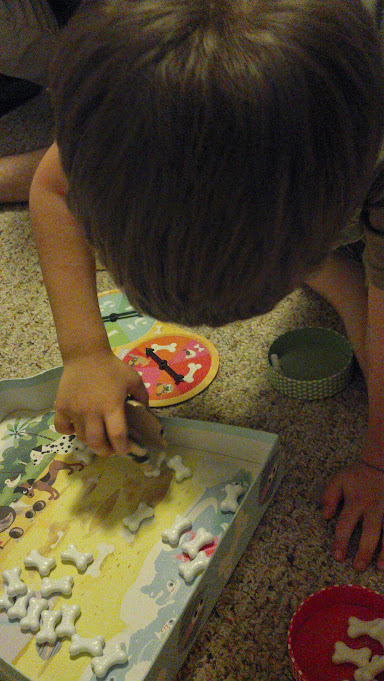 My 2-year-old and 5-year-old enjoy playing this game together. I play along, but really they need very little help. It's wonderful that Shelby's Snack Shack is a game that they can actually play together and understand! After visiting my giveaway, make sure you use the linky below to take a look at the other bloggers and see what they have to offer! 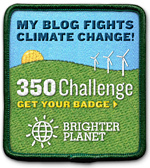 Each blog has a minimum prize package of $25 per winner. Disclaimer: Mama's Baby Cupcakes, Mommy's Favorite Things and the "Whatever Goes" participating bloggers, including Why We Love Green, are not responsible for sponsors who do not fulfill prize obligations. Please contact us for help within 1 month if you have not received your prize.